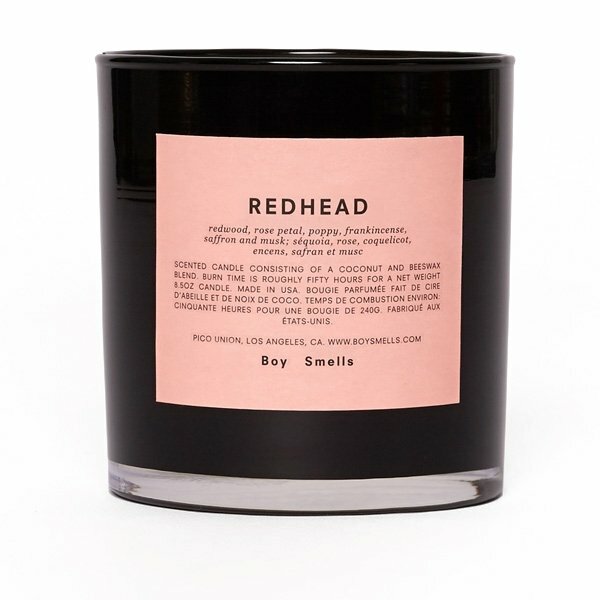 Boy Smells Redhead Candle has ingredients hat are rare and fervent, just like its namesake. Grounded in redwood cedar, notes such as frankincense, amber, and cashmeran add a regality. Vetitver and ginger add spice, while saffron and poppy add an exoticism. Frankincense, saffron, redwood, poppy and pomelo.